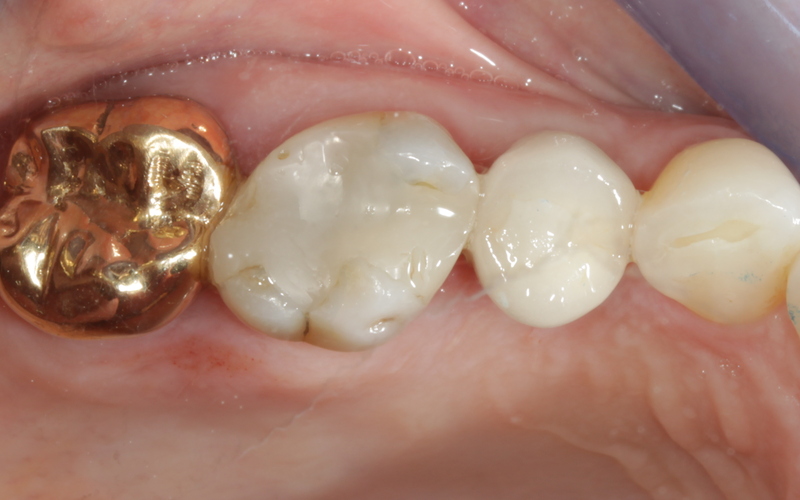 What Is A Screw Retained Crown? Dental implant treatment involves two different phases of treatment. The surgical placement of the titanium screw is usually followed by a healing phase of 3-6 months. Once the implant surgeon has confirmed that the implant has integrated the restorative phase can begin. The type of restoration chosen will depend on several factors like implant position, width of space to be restored and available height of the dental crown or dental bridge. 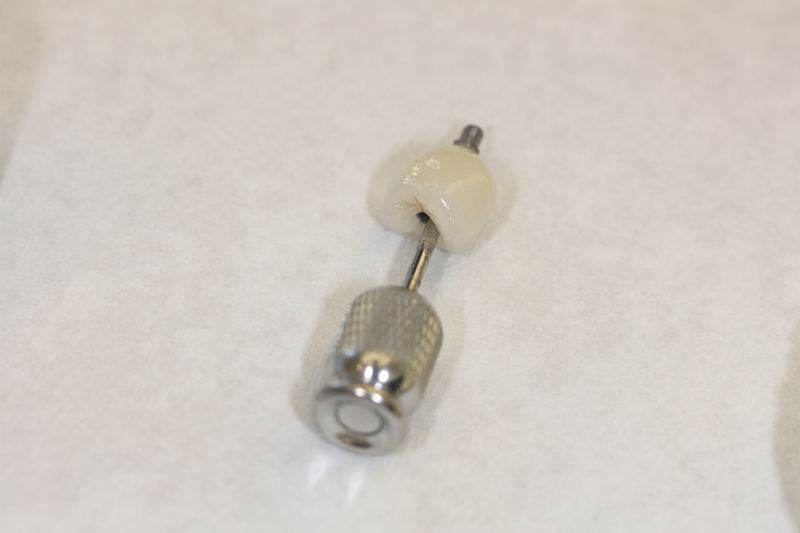 During the healing phase the dental implant is covered with either a cover screw or a healing abutment. Generally I prefer to carry out dental implant treatment using a one stage process. The one stage procedure means that the dental implant is placed with a healing abutment attached immediately following surgery. This is advantageous from the point of view that the gum will grow around the healing abutment and not cover it. This simplifies the impression appointment and also ensures that no anesthetic is required. The gums become molded around what is to become the a tissue collar around the future dental implant crown. However if the implant is placed into soft bone then a one stage procedure may not be possible. This means that the implant will need to be submerged or buried under the gum tissues to allow for better healing. After the healing process the implant will need to be exposed during a small surgical procedure. Impressions are taken of the dental implant, the part of the implant which is seen here is known as the platform of the dental implant. 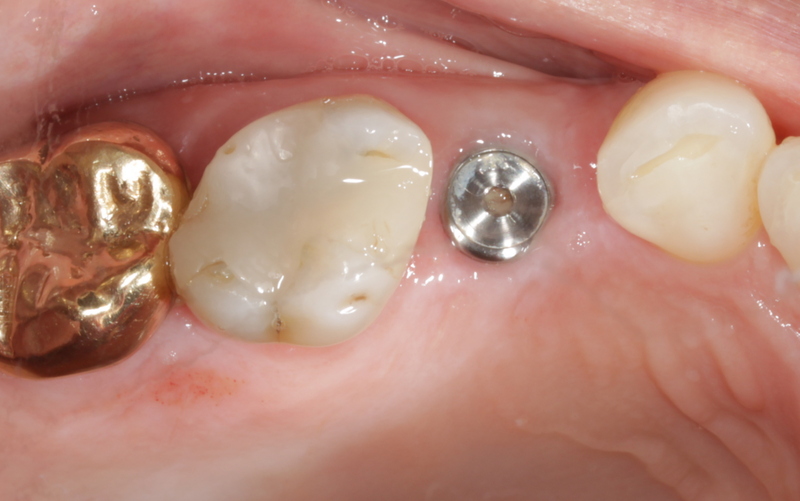 This particular platform is 4.5mm wide and there is an internal hexagon to reduce any micro movements of the implant crown during function. The hex tool is showing that there is access to the abutment screw. This is beneficial for several reasons. The access hole allows us to access the screw which removes the crown at any stage. Also no excess cement will be found under the gum tissues. Excess cement under gum tissues can cause tissue inflammation, infection and eventual implant failure. The screw retained crown in position. One can only vaguely see the access hole which has been covered by tooth colored dental cement. The crown is made in our on site dental implants laboratory. 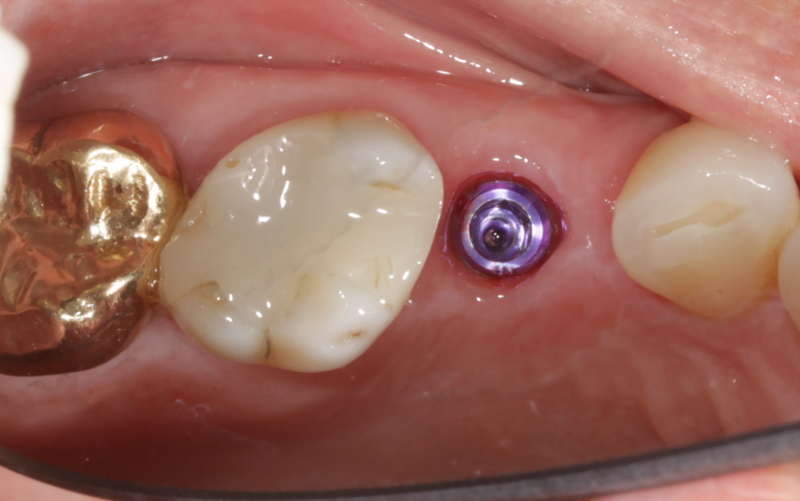 The crown is made of porcelain fused to metal and provides excellent function and aesthetics. Dental implant treatment is highly successful in more than 95% of cases. Dental implants can replace both single and multiple teeth. For more information about Screw Retained Crown please feel free to Contact Brighton Implant Clinic or Call 0800 111 6623.